There’s a lot going on in Re: Zero kara Hajimeru Isekai Seikatsu, which we’ll simply call Re: Zero from now on because that title is crazy long. You have a modern day person being transported to a fantasy realm. You have time travel via save points, in which the main character gets killed, reverts to a set point, and then attempts to alter the course of events that led to his (or someone else’s) death. Is it the first anime to ever try something like this? Not quite, but it is popular right now, and for very good reason. So in the event that you’re looking for more Re:Zero before they actually MAKE more Re:Zero, here’s a few anime that might scratch that itch for you. WARNING: There are some inherent spoilers involved in all of the series listed here. Time travel is usually a pretty serious plot twist, and there’s no way to NOT talk about it when it pops up. You’ve been warned, so just skip over the titles if you don’t want the plot details. 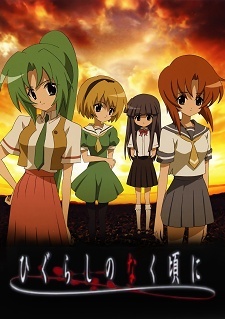 While the plotline is completely different, Higurashi no Naku Koro ni follows a similar sort of structure: horrible things happen, and then the plotline resets inexplicably. It isn’t until the second season of the series that you come to understand why it’s resetting, and what is actually happening. The first season just keeps sending the timeline back and having slightly different brutally murderous plot arcs play out. That said, the way the despair builds up over the course of the series makes the high points extremely cathartic. Higurashi no Naku Koro Ni is certainly starting to show its age, but it remains one of the best psychological thrillers you can find. Like Re:Zero, this is a series about someone who can reverse time to stop a tragedy before it happens. 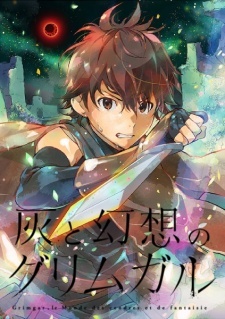 Satoru Fujinuma gets sent back to a few minutes before the tragic event, and has saved a number of people with his uncanny ability to be in the right place at the right time. But what happens when he is wrongfully accused of murdering one of his own close friends? 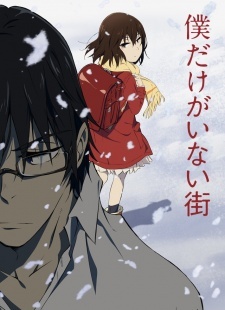 Satoru is sent back 18 years in the past to stop the death of one of his classmates in elementary school. But how is that related to the murder in the present day? Let’s do more screwing around with time travel! 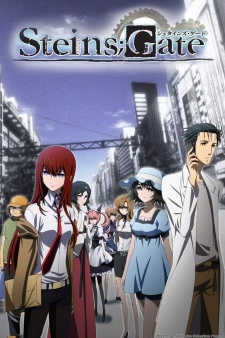 That’s pretty much what goes on in Steins;Gate, in which a bunch of psuedo-scientists stumble upon a device that allows them to communicate with the past and alter the flow of history. But the goal of the cast here isn’t to prevent some major tragedy from occurring. Not at first, anyway. Eventually, all they’re trying to do is clean up their own mess, as their meddling brings all sorts of butterfly effect consequences to bear. It’s kind of amazing how two different anime can take the same concept and run with them in completely different directions. Like Re:Zero, we have the main character of Kono Subarashii Sekai ni Shukufuku wo! being sent to a fantasy world. It even happens as a form of reincarnation. But where Re:Zero is a dramatic thriller about just trying to get through a day without being murdered, Kono Subarashii Sekai ni Shukufuku wo! 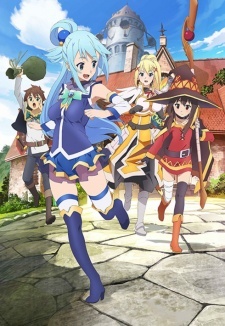 is just a comedic romp through a colorful fantasy world with harem elements thrown in. Okay, we’re getting a little further away from the whole time travel thing here. There isn’t really any time travel here. What there is, however, is a couple of kids transported to a fantasy world, and trying to figure out the rules of the world as they stay there. It’s not a one-to-one comparison, of course, but if the thing that has you pulled in about RE:Zero is the concept of a modern-day person being pulled into a fantasy world, that’s what you’re getting here. In Re:Zero, a lost, confused boy stumbles into a fantasy world he doesn’t understand, and just tries to survive. 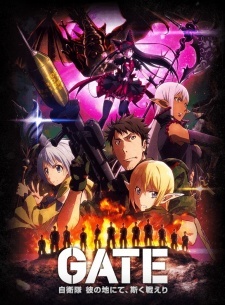 GATE is more-or-less the opposite of this. The Japanese military travels to a fantasy world and just blows away every hostile encounter effortlessly. This is similar to Re:Zero in that it examines the nature of mortality. In Re:Zero, the impact of Subaru Natsuki’s repeated deaths and respawns takes a mental toll on him. It isn’t just an automatic “whatever” thing. 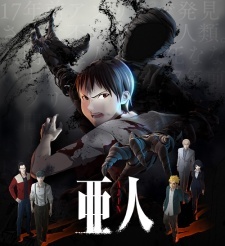 Ajin takes things much further, as it’s about a newly-discovered species of human-like creatures who are immortal. This shapes the themes of examining the nature of humanity when not defined by death. No respawns, no resets. But this is a series about a game-like environment, with a group of unwilling participants fighting to survive. 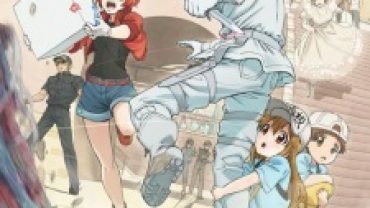 The characters in this series don’t appear to be from a modern setting, though since none of them can remember their history, it’s hard to say where they’re from. Still, you should get the “trying to survive in a fantasy setting” theme in full.